vBeers is an informal get together of virtualisation enthusiasts and professionals to meet and discuss all things IT. It’s a great opportunity to network, learn and meet like minded people. Enjoy Talking Virtualization? Come & Socialise at vBeers! vBeers is open to everyone so whether you are a VMware vSphere, Microsoft Hyper-V, Citrix XenServer user/fan or none of the above it really doesn’t matter as “it’s all about the virtualization”. The London vBeers is held on the first Thursday of every month starting at 6pm in ‘The Cittie of Yorke’ pub which is placed centrally to both London’s West End and The City. This venue serves a fine of selection of English beers along with soft drinks and bar snacks. 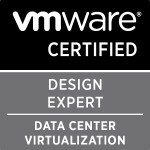 Categories: Virtualisation | Tags: vBeers, VMware | Permalink.